Exmoor's soaring, pony-dotted plateaus; otherworldly rock formations; plunging sea cliffs; the bulbous Quantocks; bird-crowded lowlands of international importance; gracefully fading Victorian seaside resorts; remote bays and fossil-packed beaches; wind-bothered sand dunes; big views; melodramatic moorlands; landscapes soaked in the mythology of Kings Arthur and Alfred, which directly inspired the Romantic poets; intriguing (and dark) maritime history; extravagantly snaking rivers; lighthouses on legs..
One day soon the Somerset Coast Path–from the heart of Bristol to Lynton/Lynmouth–will form part of the planned England Coast Path. Much of it is already in place, and it's an eventful, dramatic walk. 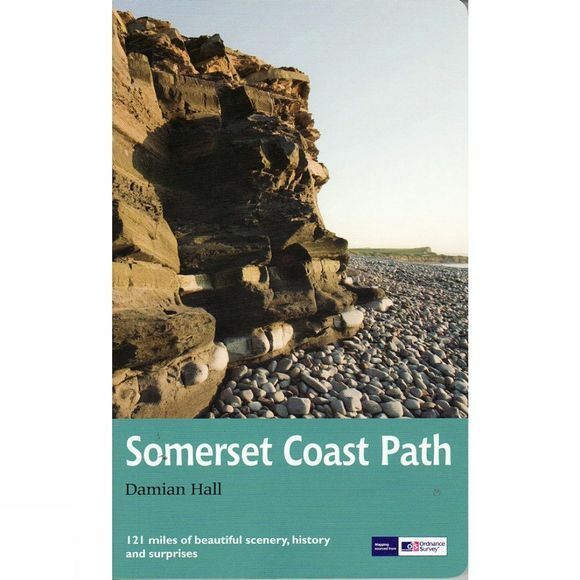 Damian Hill's guide celebrates the landscape, towns and villages along the way, and introduces you to the history and wildlife that enrich this beautiful part of the country. Included are OS mapping for the entire 121-mile route, GPS references and practical advice on transport, equipment, accommodation and more.